Only the commanders to go and then the army is done, baby, done! 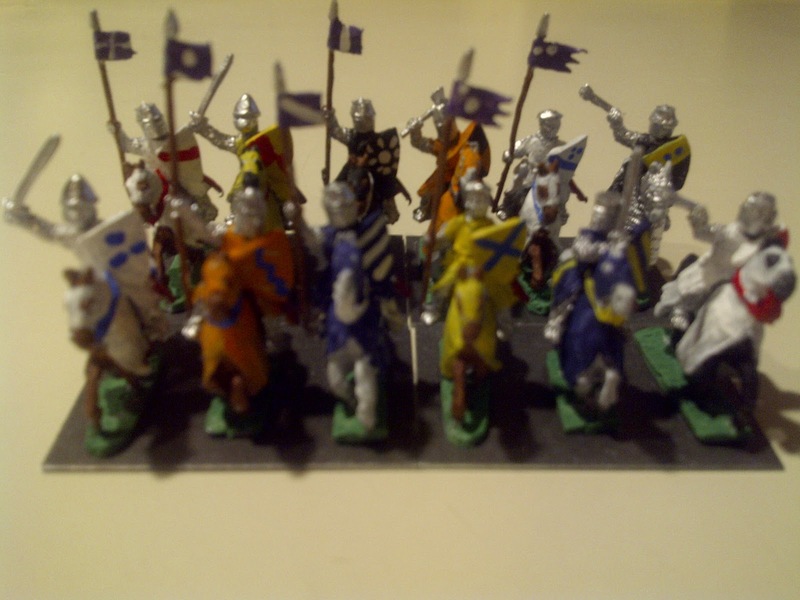 I stretched out with a few new colors for the knights (those two dapper chaps in the orange livery, plus some new blues and such). Once I get the commanders done, I’ll have a complete starter army (either Kingdom of Tamaria for my own campaign, or Feudal French for historical minis, even if the paint job is a little ahistorical). Yeah, well… I've got a BASE done. So, um, ha! Or something along those lines that is thoroughly erudite and witty like a fox. Yes, but your base looks better than my entire army. But, as far as it looking better, I'll give you individually perhaps, but there's nothing nicer than a fully-painted army taking the field. You'll have to show some efforts with the quickshade soon, though! Good point that last– I've finally retouched my crossbowmen, and I have enough spares to do a whole base. I'll glue them down and dunk 'em, and do a side-by-side comparison. 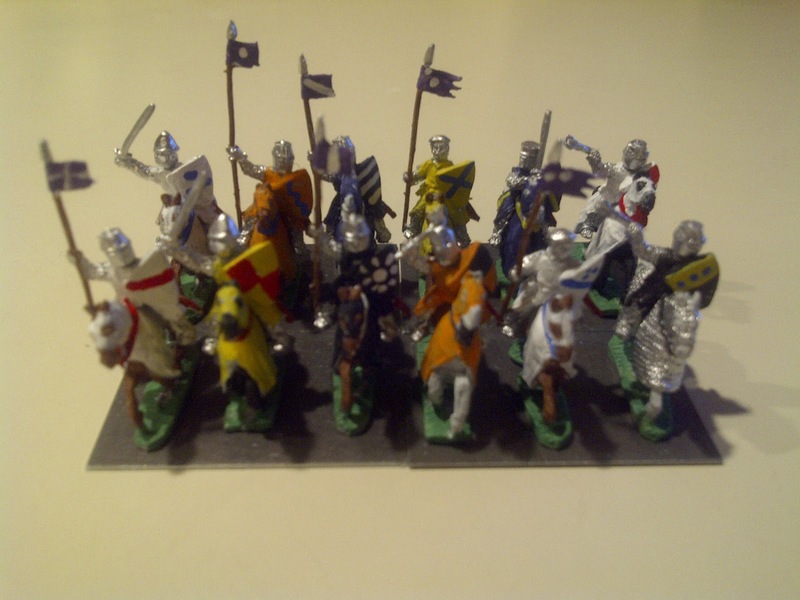 I have no comment on crazy dice luck, particularly in regards to our last Ogre miniatures battle.